Write messages to friends or just get creative painting with light! Become a walking work of street art - If you're not into illegally performing covert graffiti operations at night ...turn yourself into a walking work of street art. 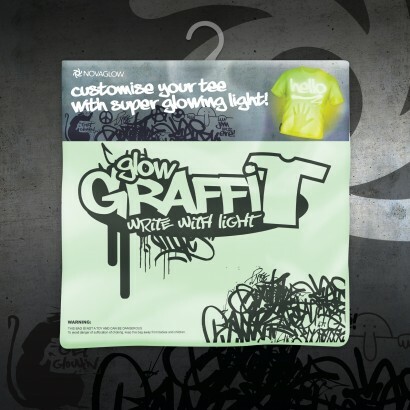 With this totally cool Glow Graffi T Tee Shirt you and your friends can light spray away on every inch of the shirt as the whole thing will glow in the dark, so you can create designs or write 'light messages' to each other! The worlds first all glow in the dark T Shirt! 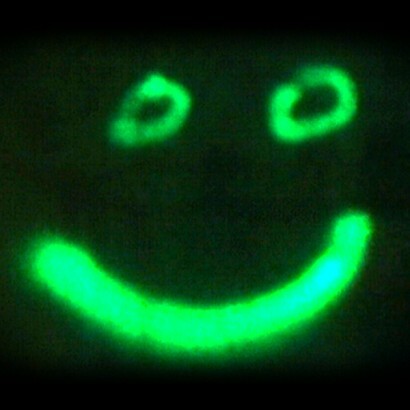 The glow in the dark properties let your light art fade away so you can re paint as often as you like. Each glow tee shirt comes with a led torch for writing with light. 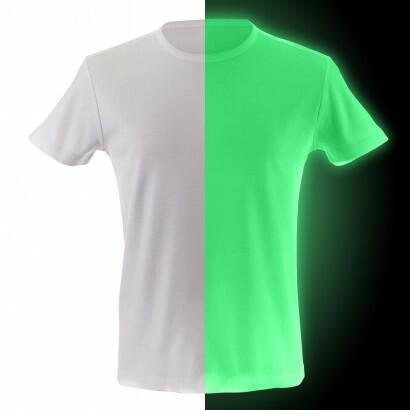 The whole t-shirt will glow brightly under UV Blacklight too, making it perfect for clubbing. 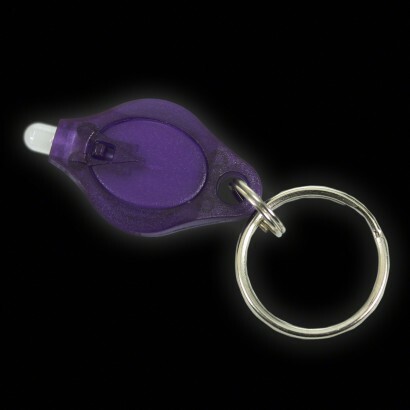 Exclusive to The Glow Company! 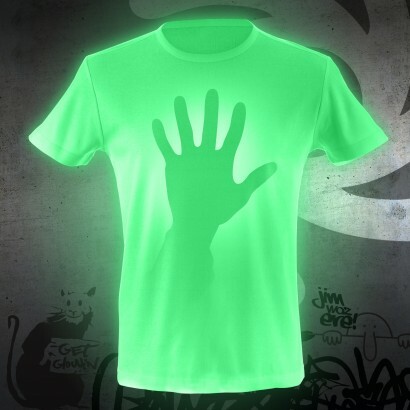 The t-shirt uses glow in the dark pigment to become a blank canvas for light art. 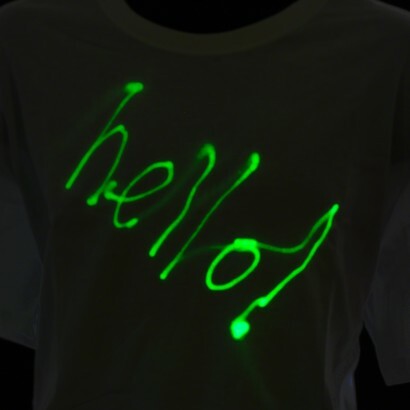 Use the torch included and write messages or create customised designs in light that will glow brightly in green and gradually fade out returning the t-shirt to it's blank form. 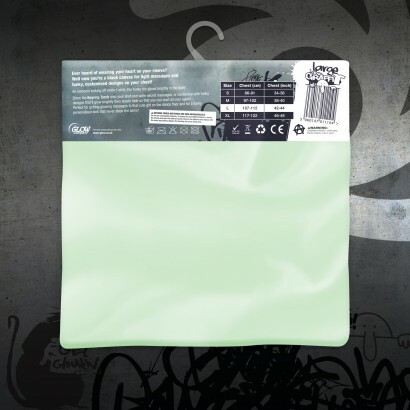 A fantastic glow in the dark innovation, the Glow Graffi-T Tee Shirt will also fluoresce under UV blacklight to become a super bright glowing t-shirt. Whole t-shirt will glow under UV blacklight. Amazing t shirt. So bright! Very wow! Really great T-shirt, however get a size bigger than you need as they are smaller than their description. Brilliant on all levels. Ordered the glow tee but disappointed that the website would not let me change the delivery address so mentioned that in an email. The Glow Company rang me to ask where I wanted it sent, and the tee shirt arrived in time for my granddaughter's birthday - howzat? Brilliant. I haven't seen the shirt but have been told it's cool or sick or something, so I presume it fits the bill. The grandkids love everything I have ever bought them from the Glow range, I don't know where I'd be without it.